Baba Siri Chand Chants which contain the blessings of the divine with the power to sanctify your sacred surroundings, your homes and offices, your loved ones. - Shop now and save with free Mp3 download! Baba Siri Chand Chants which contain the blessings of the divine with the power to sanctify your sacred surroundings, your homes and offices, your loved ones. 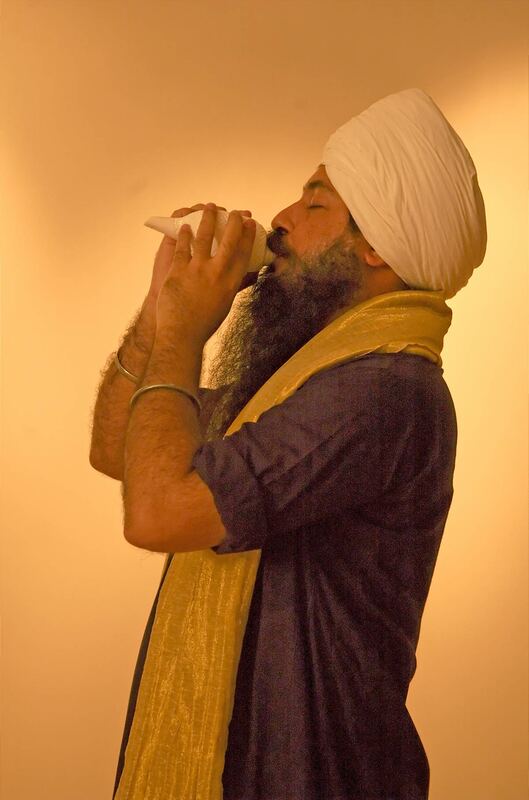 1) Is Baba Siri Chand Chants from Brahm Buta Artwork Available with the Download? Yes! A PDF CD Booklet comes with each Brahm Buta Download containing mudras, asanas, and history of the beautiful mantas contained in this recording. Baba Sri Chand Chants from Brahm Buta is an offering to all the Yogis who have walked, are walking and will be walking on the path of Dharma. These Chants have been sanctifying the sacred grounds of Brahm Buta Shrine of Baba Sri Chand for centuries and with the blessings of the divine it shall now sanctify your sacred surroundings, your homes and offices, your loved ones and your sacred path. The different Schools of Yoga came to Baba Sri Chand for guidance and the teachings of the divine wisdom of Yoga. These are the teachings Baba Sri Chand gave them and contain his most subtle essence. It also connects one directly with the healing and protective energy of Baba Sri Chand. Sri means creative energy; that which creates, sustains and transforms. Matra means a dose. Sri Matra is a spiritual dose to bring that creative energy into our life. The daily recitation of Sri Matra awakens the internal Yogi allowing for divine union. When Guru Hargobind the 6th Guru, visited Baba Sri Chand in Barth Sahib he brought along his 4 sons and offered his oldest son, Baba Gurditta to be a student of Baba Sri Chand. 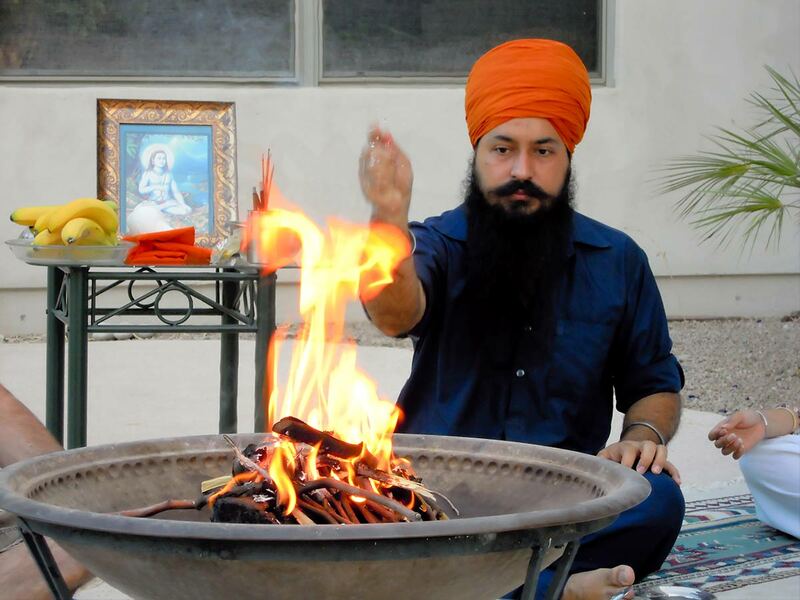 During that interaction Baba Sri Chand gave the mantra "Ong Sohung" to Baba Gurditta. Baba Gurditta was later appointed as the head of the Udasi Tradition after Baba Sri Chand. This mantra is a combination of two powerful sounds. Ong in the ancient writings is known as the Beej or the seed. Ong is the soundless sound and is the primal vibration from which all vibrations came into existence. Sohung means I AM THAT. It is the Gurmantra of Baba Sri Chand as given to him by Guru Nanak. It is a mantra of non-duality, a state of being, where all boundaries and limitations end. One becomes All and All becomes One. Ong Sohung when recited together creates the state of Sehaj where an individual begins to flow with the flow of the universe. Where every action becomes effortless. 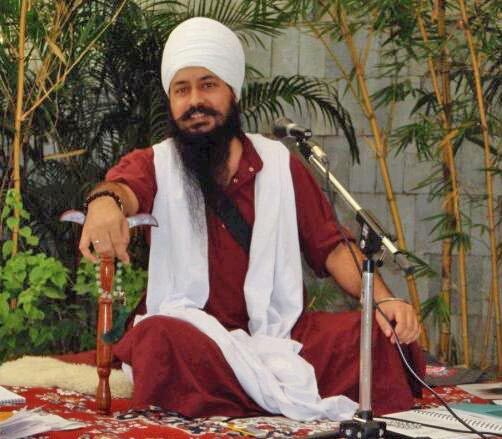 You can check out Amandeep Singh's Blog on Baba Siri Chand by clicking here. The chants on this CD are very healing! Ong Sohung brings peace to my body & mind. Also, my bird loves Ong Sohung, like he is soaking in the holy vibrations of this mantra. The Siri Mantra is POWERFUL! When I play this in my home, I can literally feel the vibrations blessings my home & environment. There is a sacred energy in this CD & in the voice of Amandeep Singh. 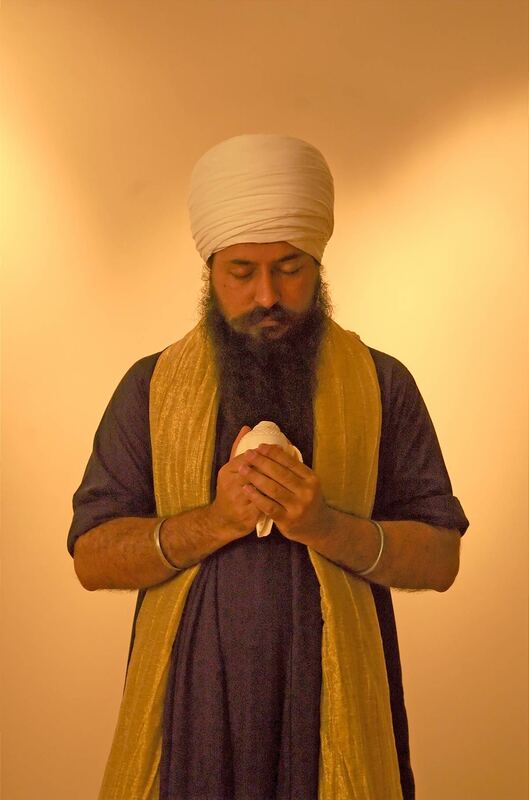 One can feel the absolute reverence in mantras. This is Spiritual Nourishment. I purchased your CD yesterday from invincible, and also received a free copy of the mp3 version, which is lovely, so I can appreciate the mp3 version as I wait for the physical copy of the CD to arrive. The mantra and sounds are music to my soul. wonderful. Wahey guru! How wonderfully healing the sounds are. I have found myself drawn toward Siri Chand Ji for some unexplained reason over the last 2 years, and many reflections of his life resonate with me. Thank you again.